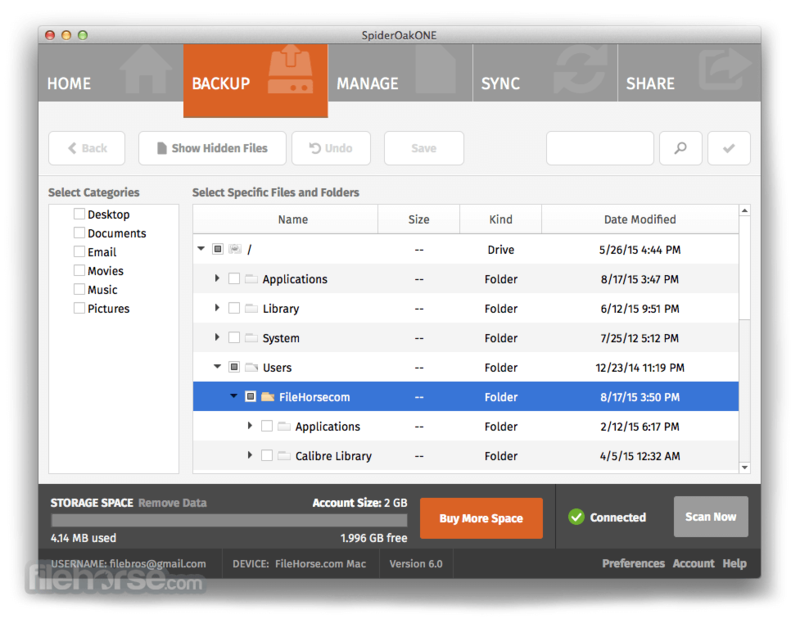 SpiderOakONE for Mac (formerly known as SpiderOak for Mac) combines online backup, secure file sync and easy sharing in a cloud based service. 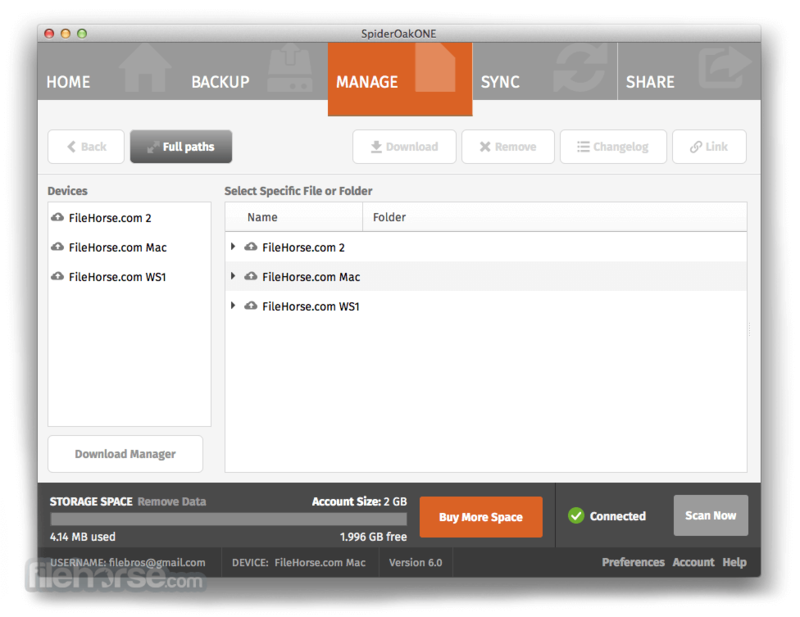 Desktop clients are available for Windows, Mac OS X and multiple Linux distributions. Several gigabyte of free storage become available after account creation and can be upgraded to a 100+ GB for a monthly or yearly fee. 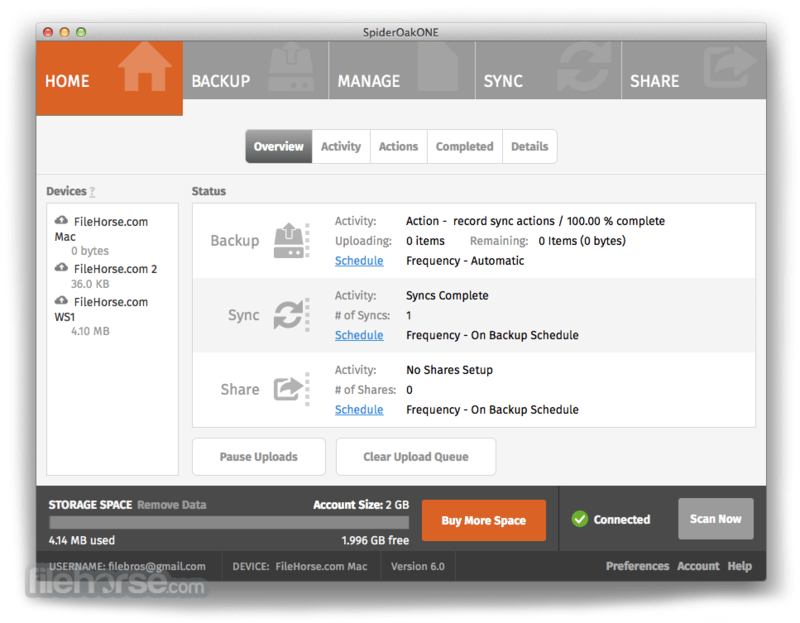 SpiderOakONE for Mac consolidates several functionalities into one tool: free online backup, remote access, synchronization, sharing and storage. 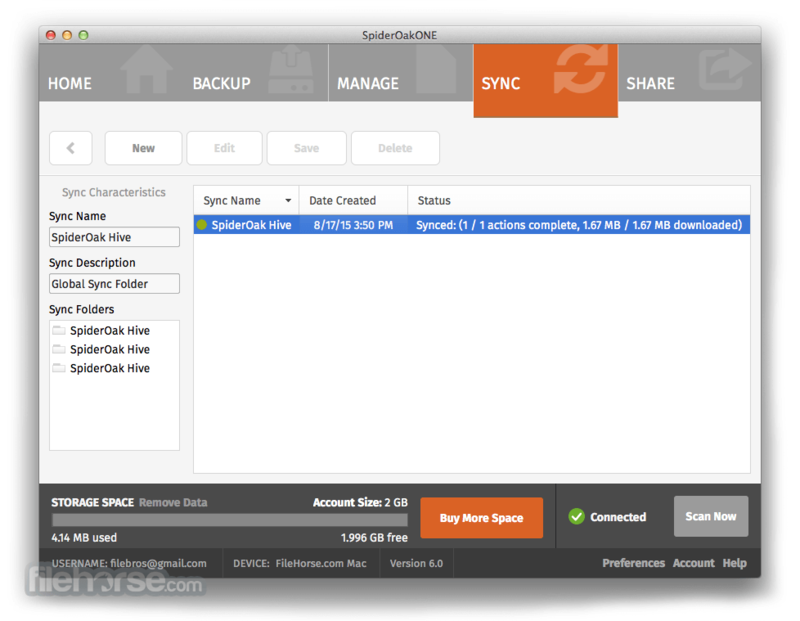 Data backups can run from local hard-drives as well as network drives, USB keys, external drives, CD/DVDs and other storage media. In order to prevent 3rd party access, all data is stored encrypted and transferred encrypted via a secure SSL connection. All of these features are available for both the free and the subscription service. Stay connected to all of your important documents, photos and videos wherever you go. Access your data from any device, whether in your pocket, your backpack or on your desk. Got a Macbook, a Windows desktop, a Linux server, 2 iPhones and a Droid Tablet? ? No problem. Sync across as many devices and operating systems as you wish. Back your data up to SpiderOakONE and rest assured that no matter what happens to your laptop, phone or tablet, your data is always available. Even if you accidentally delete a file from your computer, SpiderOak retains a copy so you never have to worry about losing anything. 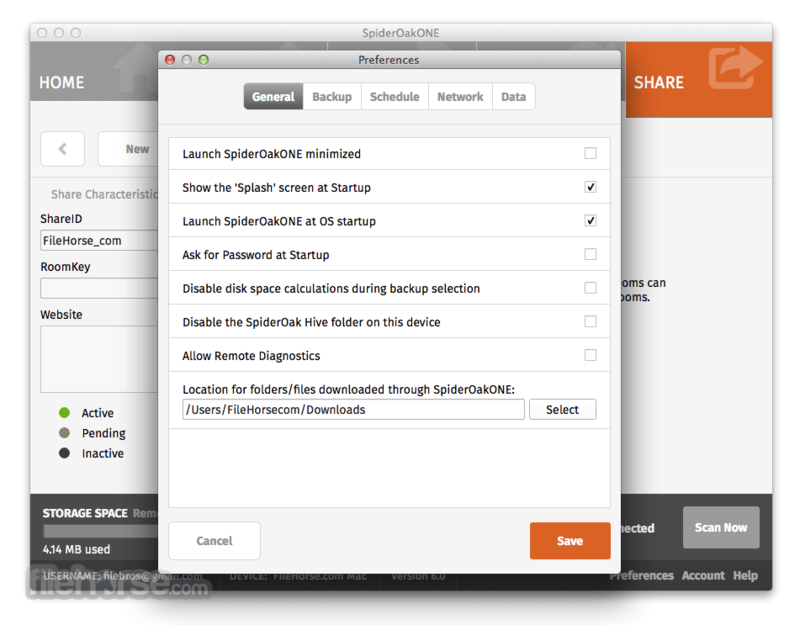 SpiderOak quietly runs in the background to ensure your data remains safe and up to date. If you continually make edits to a file, you can access any version of that file throughout its lifespan – from creation to final. Note: 60 days trial version. Requires 64-bit processor.